I am a shampoo person and I love to try different products. I think its been a year or more that I didn’t try any new shampoo. People who are familiar with my blog knows that I am a fan of Shiseido shampoo and been using it for a long time. I don not have any complains but wanted to try my hands on different products. 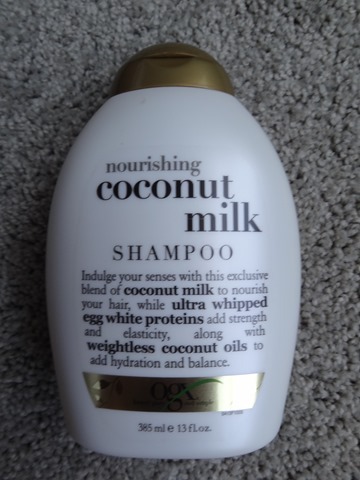 The product description says SHAMPOO-Nourishing coconut milk, strengthening whipped egg proteins and hydrating coconut oils are all part of this deliciously creamy blend that will leave your hair softly scented, super soft and glowing. It’s sulfate free! And does a great job of cleaning my hair and leaving my hair with soft curls. it’s rich with a thick consistency that lets a little do a lot. It moistures and hydrates your hair. I have used it for a couple of times and I was very impressed with the shampoo and how it worked on my naturally curly hair. Will definitely buy one in future. Do let me know if you have used any of their products? 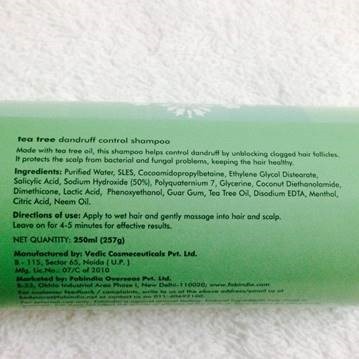 Claims: Fabindia Tea Tree Shampoo Dandruff Control helps to remove dandruff and visible flakes. 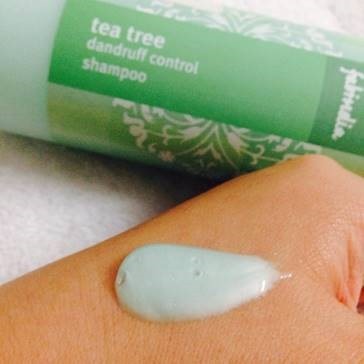 Fabindia Tea Tree Shampoo Dandruff Control makes hair soft and smooth after each application, even without the conditioner. It in enriched with natural ingredients which help in not only removing the dandruff but also protect from scalp infections. It also strengthens the hair follicles making hair grow longer and stronger. Tea tree helps to reduce the secretion of oil. 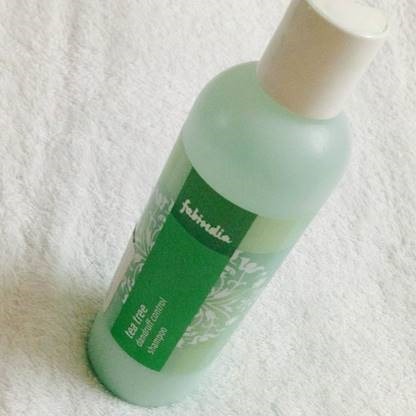 · Apply to wet hair and gently massage into hair and scalp. · Leave on for 4-5minutes for effective results. I have been suffering from hair dandruff since I have an oily scalp, and at the same time hair fall because of Bangalore water! Have tried almost all dandruff shampoos available in the market, until Splurgy told me to try Fabindia’s Tea Tree Dandruff Shampoo. Been using it ever since. The packaging is nice with a very minty like plastic bottle. It is mild with rich tea tree scent which is very soothing. A small amount of it is enough since it has a very thick creamy texture. Since the instructions says to leave it for 4-5minutes, try covering it with hair cap. It gives you some ice cool effect. It surely reduces dandruff and visible flakes and lessen your hair fall. The only negative part is that your hair tends to a bit dry. Since I am not fond of using conditioner, I use Moroccan Argan Oil instead.